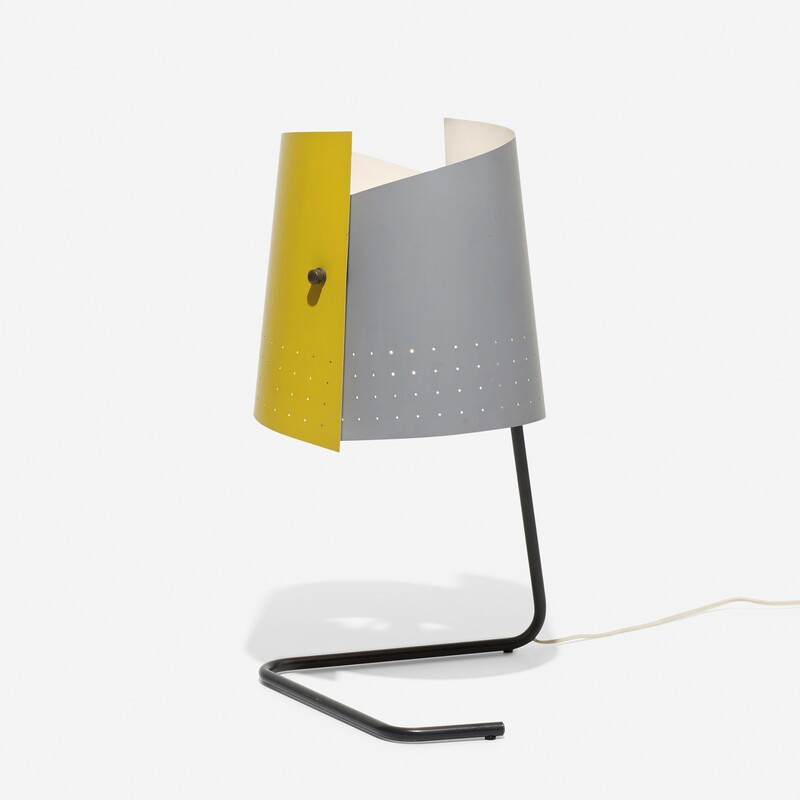 Zahara Schatz and Heifetz Manufacturing Company, Table Lamp, 1951. Milwaukee Art Museum, Gift from the George R. Kravis II Collection. Photo courtesy of Wright. 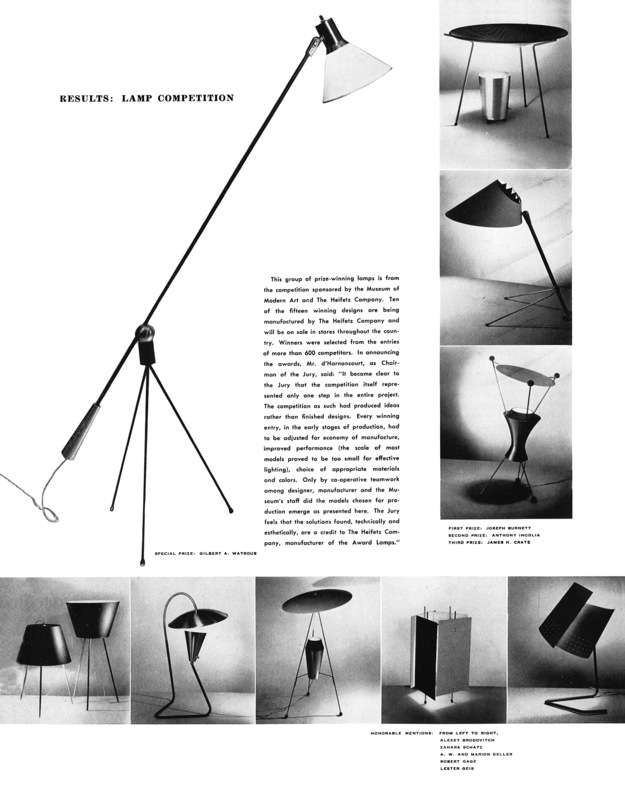 In 1950, the Museum of Modern Art and New York-based Heifetz Manufacturing Company announced a design competition for floor and table lamps, offering cash prizes and the tantalizing promise that Heifetz would put at least three-quarters of the winning designs into production. 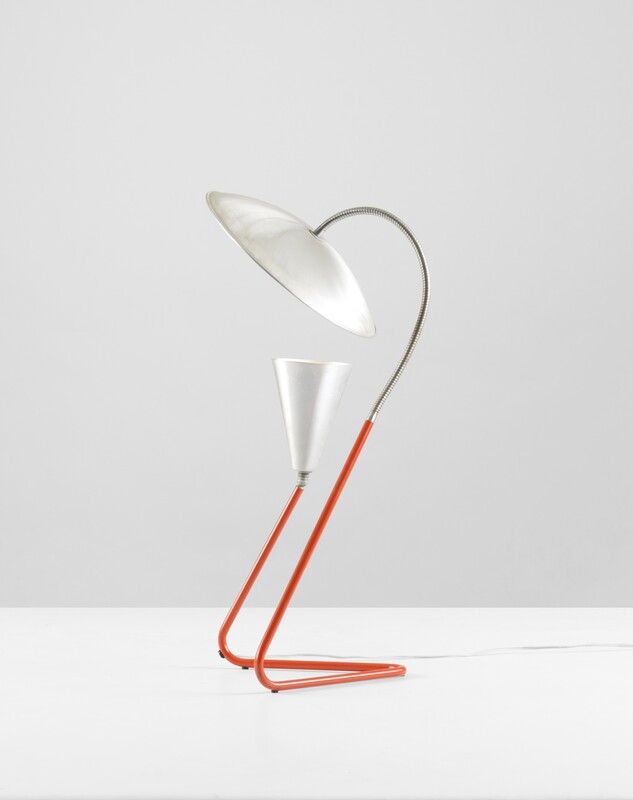 Ultimately, eight table lamps and two floor lamps were chosen for manufacture from over 600 entries. These lamps were exhibited at MoMA from March 27–June 3, 1951 (alongside drawings, diagrams, photographs of the designs), published in Arts & Architecture magazine, and offered for sale across the United States at numerous stores, including Carson, Pirie, Scott & Co. in Chicago and Macy’s in New York and San Francisco. Now, two of these lamps are on view at the Milwaukee Art Museum as part of Serious Play: Design in Midcentury America (Sept 28, 2018-Jan 6, 2019). Installation view of the exhibition The House in the Museum Garden, April 12, 1949–October 30, 1949. Photographic Archive, Exhibition Albums, 405.9. The Museum of Modern Art Archives, New York. IN405.15. Photo by Ezra Stoller. Spread from Arts & Architecture, May 1951. Giorgio de Chirico, The Evil Genius of a King, 1914-15. Museum of Modern Art 112.1936. © 2018 Artists Rights Society (ARS), New York/ SIAE, Rome. 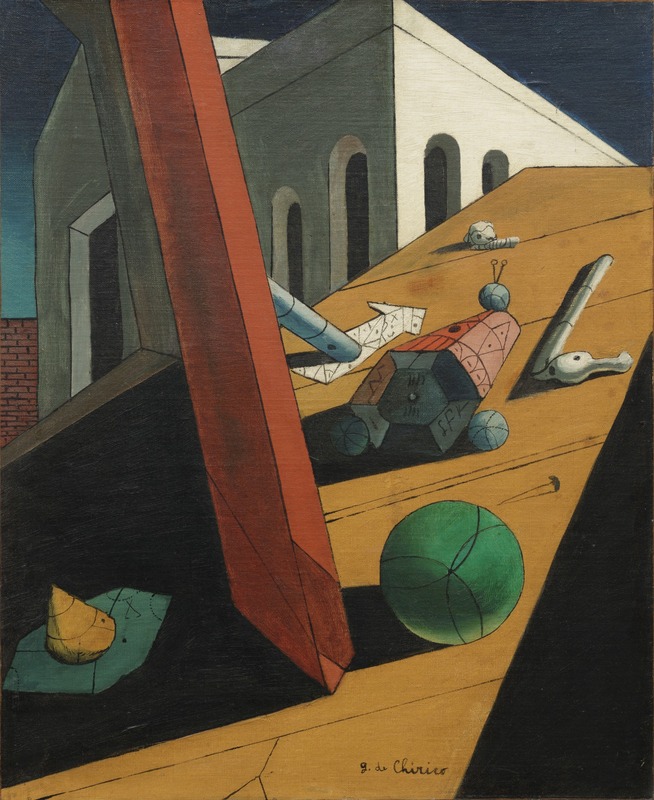 Interestingly, three paintings from MoMA’s collection were exhibited alongside the lamps, including Giorgio de Chirico’s, The Evil Genius of a King (1914-15), a surrealist work depicting geometric volumes in an inexplicably-angled, architecturally-defined space. Perhaps the curators thought that the various painted forms would resonate with the lamps’ bold, even alien geometry. 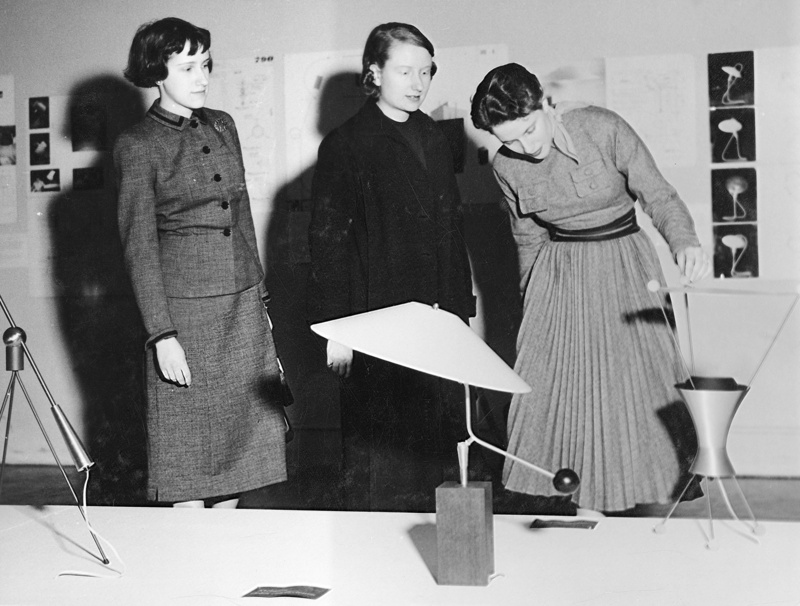 Unidentified visitors at the exhibition New Lamps, March 27, 1951–June 3, 1951. Photographic Archive. The Museum of Modern Art Archives, New York. IN473.16. 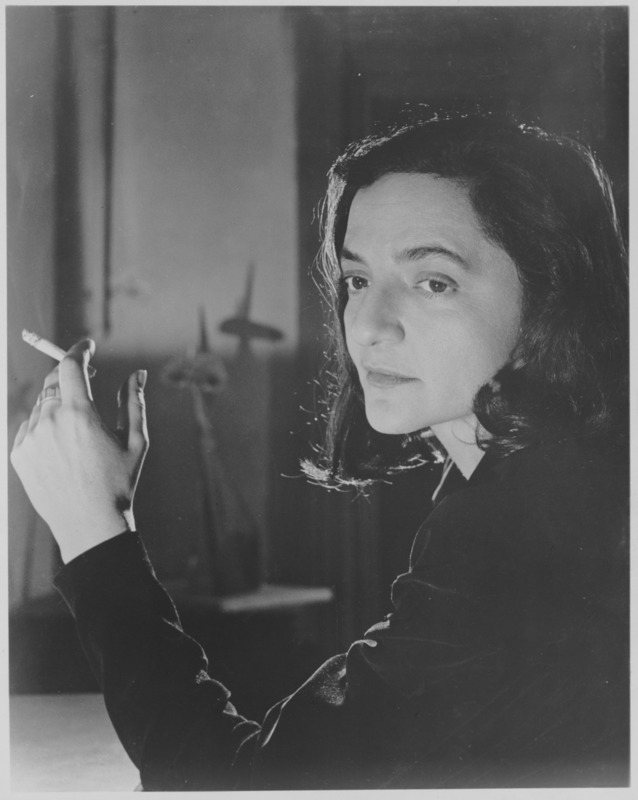 Zahara Schatz, publicity photograph released in connection with the exhibition, New Lamps, March 27, 1951–June 3, 1951. Photographic Archive. The Museum of Modern Art Archives, New York. IN473.4. Lamp by Zahara Schatz, published in the New York Times, 1951. Lester Geis and Heifetz Manufacturing Company, Table lamp (model T-5-), 1951. 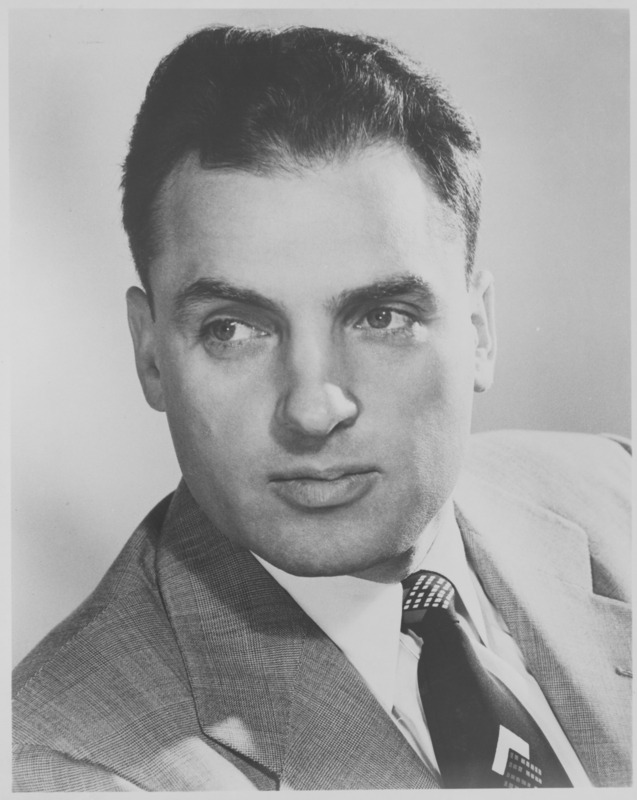 Collection of George R. Kravis II. Photo courtesy of Wright. See Schatz and Geis’s winning lamp designs, alongside over 200 other works of midcentury design, in the exhibition Serious Play: Design in Midcentury America, which explores how many designers working in the United States after World War II achieved serious design innovations by fundamentally incorporating playfulness and whimsy into their work. On view in the Museum’s Baker/Rowland Galleries now through January 6, 2019. Hannah Pivo is Curatorial Assistant for Design at the Milwaukee Art Museum. She works on acquisitions, gallery rotations, and exhibitions of 20th- and 21st-century ceramics, glass, textile, graphics, industrial design, and more. 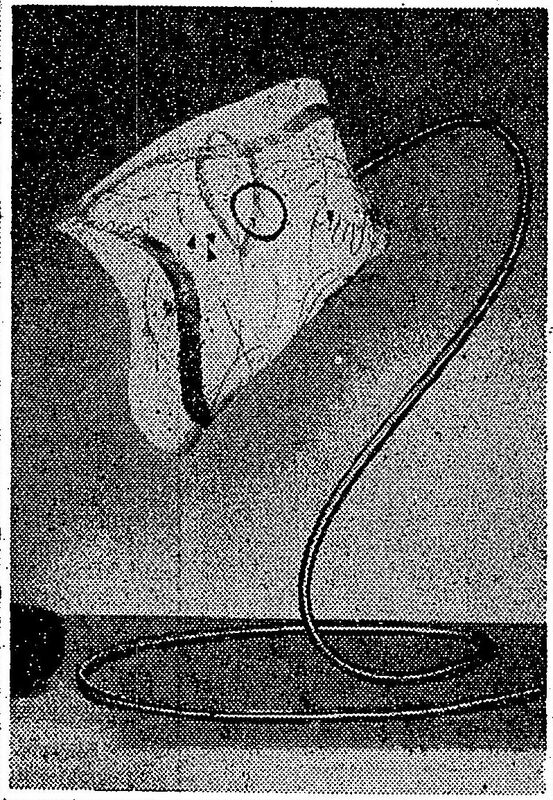 “Prizes Total $2,600 for Lamp Design,” New York Times, May 9, 1950. “Prize-Winning Lamps, On Exhibition at New York’s Museum of Modern Art, Go On Sale Here,” press release, Museum of Modern Art, New York, March 12, 1951, 1. “House in Museum Garden by Marcel Breuer to Open April 14,” press release, Museum of Modern Art, New York, April 8, 1949, 2. “Modern Architecture Favored in Poll: Survey of Visitors to House in Museum Garden Reveals Majority Like New Designs,” press release, Museum of Modern Art, New York, October 11, 1949, 1; “The House in the Museum Garden: Marcel Breuer, Architect,” master checklist, Museum of Modern Art, New York, 1949, unpaginated. “Results: Lamp Competition,” Arts & Architecture 68, no. 5 (1951): 28. “New Lamps,” master checklist, Museum of Modern Art, New York, 1951. “10 Winners Shown in Lamp Contest,” New York Times, March 28, 1951. Margaret Anderson, “An Artist Works in Plastic,” Craft Horizons 12, no. 4 (1952): 8-12. “Prints, Plastics,” New York Times, February 2, 1947; Aline B. Louchheim, “Of ‘Material and Immaterial,’” New York Times, February 20, 1949; “Artists Display Work in Plastics,” New York Times, May 4, 1949; “Exhibit to Depict ‘Deception in Gold,’” New York Times, February 14, 1950; Stuart Preston, “At Two Modern Museums,” New York Times, August 6, 1950, “In Brief: Exhibitions,” New York Times, December 16, 1951; “Decorative Mobiles Offered for Homes,” New York Times, June 12, 1952. “Honors for Design,” New York Times, February 15, 1948; Betty Pepis, “For the Home: Modern Lamps Use Fresh Materials, New York Times, February 14, 1951. Lester Geis and Charles L. Metzler, assignors to American Optical Company, Southbridge, MA, “Design for a Projector,” Official Gazette of the United States Patent Office v. 581 (December 1945): 154; Lester Geis and Charles L. Metz, assignors to American Optical Company, “Tiltable Cabinet with Holding Mechanism,” Official Gazette of the United States Patent Office v. 621 (April 1949): 1225; Lester Geis and Robert E. Pope, assignors to Radio Corporation of America, “Article Holding Album,” Official Gazette of the United States Patent Office v. 623 (June 1949): 567. 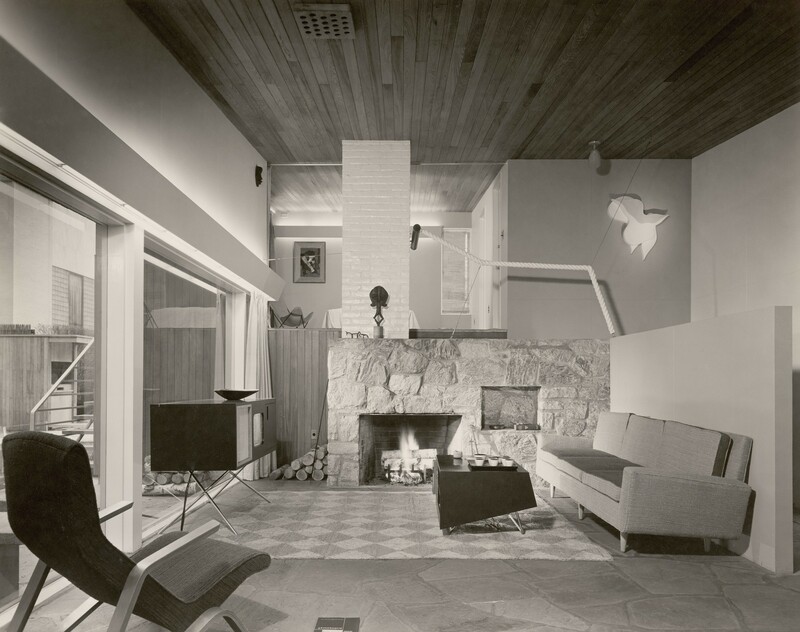 This entry was posted in Art and tagged Design, Exhibitions, lamps, Lester Geis, lighting, Marcel Breuer, Midcentury Modernism, Milwaukee Art Museum, Museum of Modern Art, Zahara Schatz. Bookmark the permalink.